Australia will need nuclear-powered attack submarines among a range of highly potent weapons systems, and must revolutionise its strategic culture to answer the security dangers posed by China's massive military build-up, according to one of the federal government's chief military advisers. Ross Babbage, who served on the government's advisory panel for the 2009 Defence white paper, believes Australia should acquire a fleet of 12 nuclear-powered attack submarines. He also favours developing a conventionally armed cruise and ballistic missile capability to be carried on new "arsenal ships", as well as a massive increase in Australia's cyber-warfare investment. In a report to be published on Monday, Australia's Strategic Edge 2030, Professor Babbage calls for Australia to host a range of American military bases. This would help disperse US military assets and make them harder to hit in the event of military conflict with China. It would also emphasise the strength and intimacy of the US-Australia alliance and discourage any aggression against Australia, as any hostile power would fear that this would automatically involve the Americans. Professor Babbage, the founder of the influential Kokoda Foundation security think tank, believes all this is necessary because China's extremely aggressive military build-up has transformed Australia's strategic environment, making it much more dangerous. "Australia cannot overlook the way that the scale, pattern and speed of (Chinese) People's Liberation Army's development is altering security in the Western Pacific," Professor Babbage argues in the new paper, which has been obtained by The Weekend Australian. Professor Babbage believes that China's massive military expansion is focused on "striking United States and allied forces in the Western Pacific" and that this has been accompanied by much more aggressive military and diplomatic behaviour by Beijing. "Australia has to develop an effective response," he argues. "The challenge posed by the rising PLA is arguably one of the most serious that has confronted Australia's national security planners since World War II," he says. "China is for the first time close to achieving a military capability to deny United States and allied forces access to much of the Western Pacific rim." Professor Babbage argues that this is not a question of distant threats to Australia's region but of direct threat to Australia itself, as it is within range of many existing Chinese weapons systems. He identifies a vast range of Chinese military capabilities that are on a massive growth path. 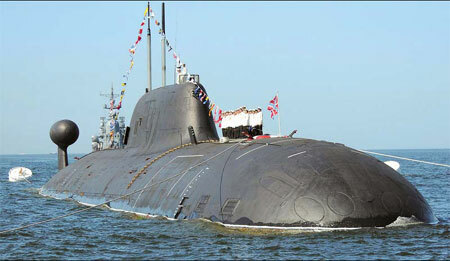 These include cruise and ballistic missiles, which can attack US and Australian ships and fixed targets; a massive investment in cyber-warfare capabilities, with reports of tens of thousands of Chinese cyber intrusions daily; new classes of both nuclear and conventionally powered submarines, including more than 40 new Chinese subs since 1995; a massive increase in Chinese nuclear weapons that will double or triple in number by 2030; a huge investment in space warfare so that China could destroy the communications satellites which are central to the Western way of war; and a massive increase in fighter bomber and other airborne strike capabilities. Professor Babbage does not believe Australia can match these Chinese capabilities. Rather, his strategic response consists of two elements. One is Australia taking action to strengthen the US military position in Asia, such as by hosting more US military facilities. The other is for Australia to do to China what China is doing to the US, which is to develop an "asymmetric" ability to use a smaller force to impose massive costs on China in the event of any conflict. This would help to deter Chinese military adventurism and avoid conflict. But there may be no question that the tourmaline smooth metal gunstige ghd glatteisen from Sedu is mainly a most ghd osterreich significant rated product and delivers on its guarantee of producing smooth, right hair. while the high temperature up time while ghd online using Sedu Ionic Ceramic smooth metal is not as fast as some other brands, it genuinely is however prepared to make full use of in only twenty five seconds. The plate widths of Sedu smooth irons are both one or one ½ inches. The system while using Sedu smooth metal ghd hair is created from high-strength composite materials, which would make the Sedu one while using ghd verkauf lightest smooth irons while using market.